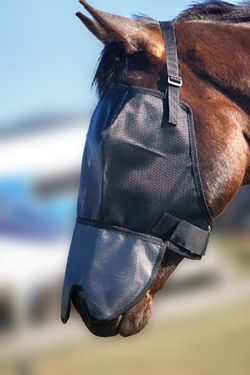 Wild Horse are the Rolls Royce of Fly Veils. 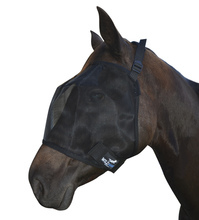 Introducing Wild Horses NEW Patented Triple Dart design Fly Veil for cool clear vision. New triple darts designed to prevent collapse on eyes. 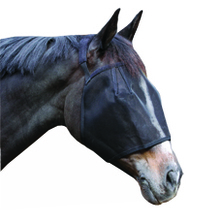 The veils utilise a new nylon mesh with 70% better visibility offers perfect clear vision protection around the eye area. Keeps eye area clear as recommended by Vets. Black colour to prevent damage to eye sight. Fleece edging to prevent rubbing. Elastic under chin to allow for movement & comfort. Triple lock Velcro fastening for added security. This is truly the greatest design. 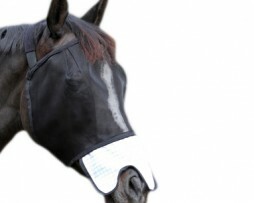 To get the perfect shape Fly Veil for your horse. After removing your Fly Veil from packaging, it may have creases caused by fold lines. This is easily resolved. Boil your water jug at home. When water is boiling, place effected area over direct steam for 3 – 5 seconds. 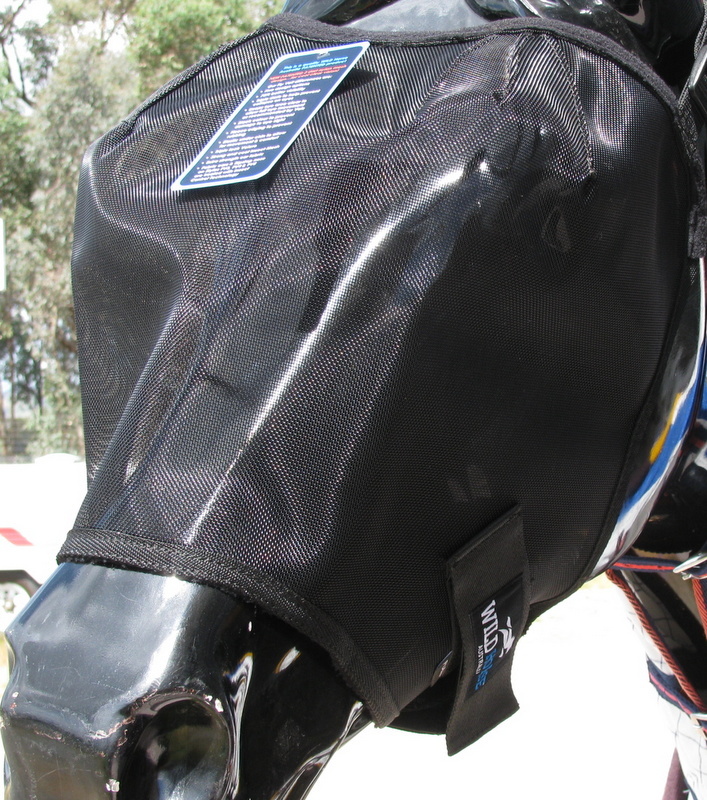 Remove from steam and push Fly Veil into the ideal shape to fit your horse. Do not hold Fly Veil over steam for longer than 10 seconds as it is not needed. Beware Fly Veil will be hot after being over steam. Do not put fingers or any body part over direct steam as it is extremely hot and will burn.